Over the course of her nearly 50-year career in Hollywood, Susan Sarandon has proven to be an emotional powerhouse. She’s made us laugh, she’s made us scoff, she’s made us think, and lest we forget, she’s made us cry. A lot. In both frequency and volume, if we’re really being honest. The minute her wide, emotive eyes begin to well up with tears in a scene, it’s all over — before we know it, we’re curled up on our couches bawling over our glasses of wine. But Sarandon has racked up quite a few film credits over her impressive career: 153, to be precise. And due to the sheer volume of films she’s starred in, you may not be familiar with some of her more poignant roles. Since we feel as though everyone should see them (and ugly-cry along with us), we compiled some of Sarandon’s best, most emotionally resonant movies to share with you. Just make sure you have plenty of tissues to spare. This coming-of-age drama may not be a total tearjerker, but it definitely has a few major moments that will make you feel weepy. In the film, Sarandon plays Adele August, a rather eccentric and selfish woman who tends to prioritize her dreams over the needs of her daughter, Ann (played by Natalie Portman). Although her character infuriates for most of Anywhere but Here, the moment she finally puts Ann first is well worth the tear-inducing wait. You’re gonna need a box of tissues on standby when you watch Dead Man Walking. This heartbreaking movie follows Matthew Poncelet (played by Sean Penn), who has been sentenced to death for killing a teen couple. Sarandon plays Sister Helen, a woman on a mission to help Poncelet find repentance and, ultimately, have his death sentence commuted. Suffice it to say the further you get into this film, the more you’ll be reaching for those tissues. Or a bottle of wine. Or both. A Canadian drama, Emotional Arithmetic explores how three Holocaust survivors wade through the emotional deluge that comes from reuniting with each other several decades later. Sarandon plays Melanie, one of those survivors. It’s every bit as poignant as it sounds and is the kind of movie that sticks with you long after the final credits roll. Inspired by real-life events chronicled by journalist Mark Boal, In the Valley of Elah follows the agonizing search by a military father (played by Tommy Lee Jones) for his son— and, subsequently, the people responsible for his death. 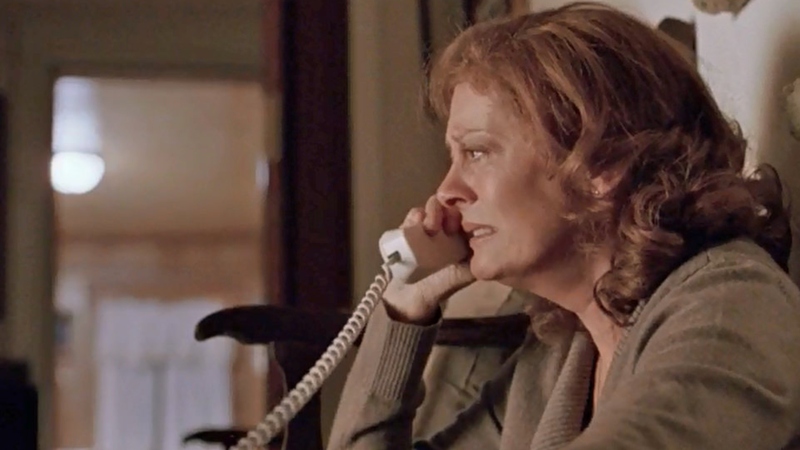 Sarandon is a powerhouse of raw emotion as the wife of that military father and mother to a lost son. Her pain is so visceral, you can practically feel it through the screen. 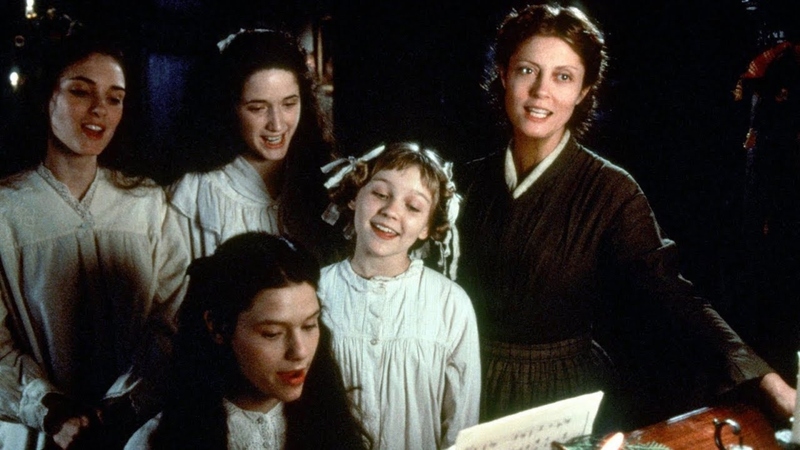 There’s never been a better time to re-watch this 1994 film based on Louisa May Alcott’s novel of the same name — come next year, a new adaptation will be out. But for now, revel in the emotional dynamics of Sarandon in the seminal role of the March matriarch (aka Marmee). Little Women will especially tug at your heartstrings if you come from a tight-knit family. Be forewarned, mamas… this 1992 film is going to rip your still-beating heart right out of your chest. Based on the true story of a couple by the name of Augusto and Michaela Odone (Nick Nolte and Sarandon, respectively), it documents their dogged search for a cure for their young son’s ALD, or adrenoleukodystrophy. Their son, the eponymous Lorenzo, is beautiful and bright and wonderful — making it nearly impossible to watch him suffer without being overcome by emotion. Who doesn’t love a good Christmas movie? Granted, this one will make you cry both happy tears and sad. Still, that’s kinda the magic of holiday movies, right? Sarandon’s storyline is particularly tender, as her character struggles to adjust to life caring for her mother with Alzheimer’s. Noel is made all the more heartrending by the fact that it features two beloved late actors: Paul Walker and Robin Williams. 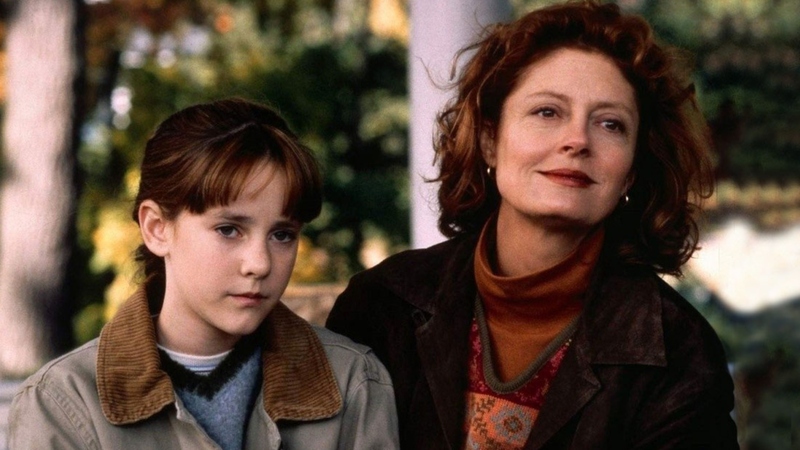 Oy, our hearts literally hurt just thinking about this beautiful 1998 movie. In the film, Sarandon plays the quintessential soccer mom — a seemingly perfect matriarch. But her bubble is in danger of popping when her ex (played by Ed Harris) marries a beautiful young photographer (played by Julia Roberts). But that’s not the hard part. Sarandon’s character has been hiding a secret that will forever change the fabric of her family. We’re not crying, you are. This 2009 drama starts with a tragedy that will destroy you, and it pretty much maintains a consistent level of emotional vulnerability throughout. 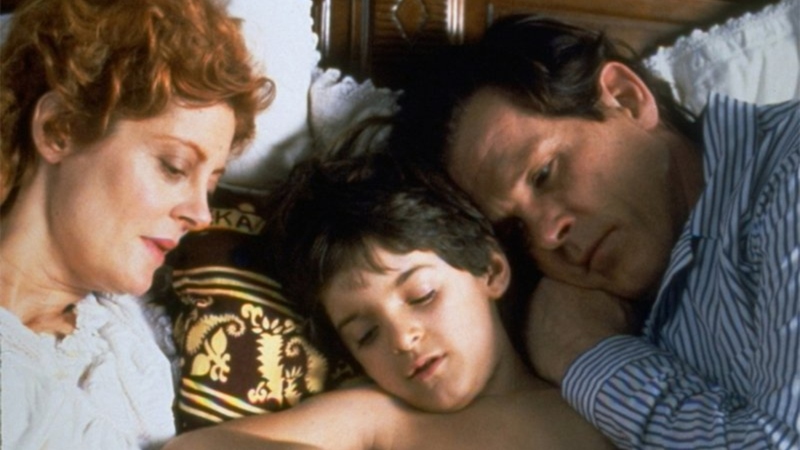 As a mother who has lost her son and coming to terms with the fact her late son’s young girlfriend is carrying his child, Sarandon gives a complex, stirring performance. Sure, this isn’t your traditional tearjerker. But we can’t be the only ones this feminist ride-or-die film hits right in the feels! Without spoiling too much, the final five minutes really drive you over the edge (ahem). 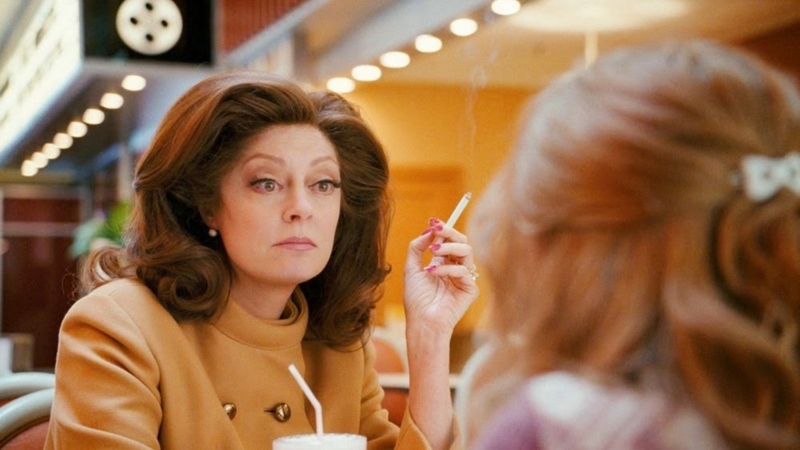 While Sarandon doesn’t necessarily have a primary role in this film adaptation of Alice Sebold’s The Lovely Bones, she plays the scenes she’s in to nuanced perfection. 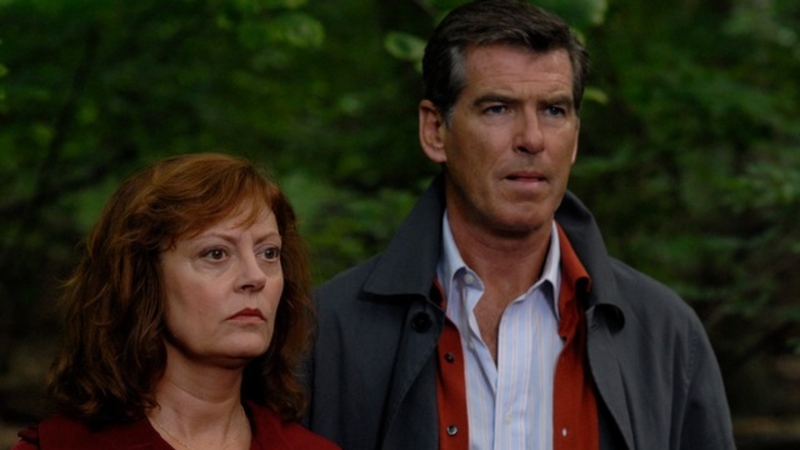 As Grandma Lynn, Sarandon essentially provides what little comic relief the tragic film has. However, she imbues it with the subtle sadness you’d expect from a grandmother mourning the loss of one grandchild while trying to be strong for the rest of the family.